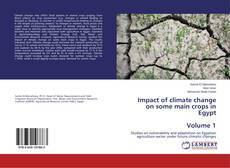 Climate change may affect food systems in several ways ranging from direct effects on crop production (e.g. changes in rainfall leading to drought or flooding, or warmer or cooler temperatures leading to changes in the length of growing season), to changes in markets, food prices and supply chain infrastructure. 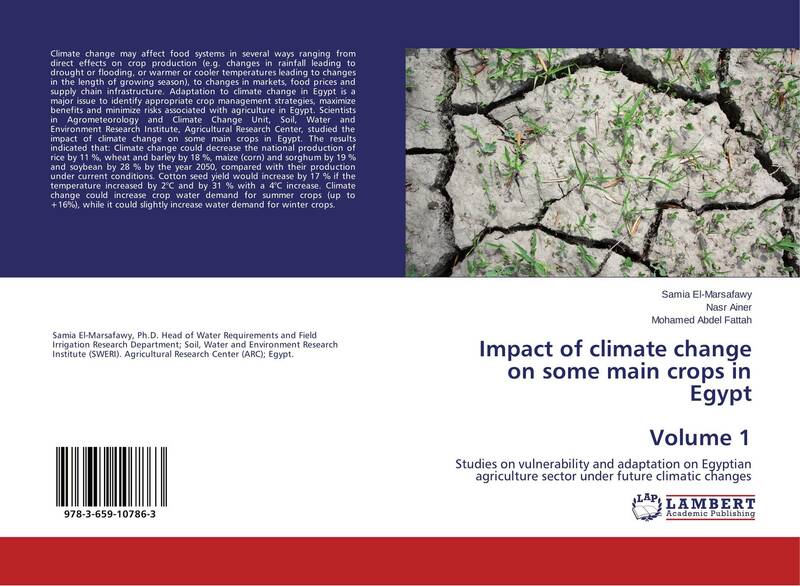 Adaptation to climate change in Egypt is a major issue to identify appropriate crop management strategies, maximize benefits and minimize risks associated with agriculture in Egypt. Scientists in Agrometeorology and Climate Change Unit, Soil, Water and Environment Research Institute, Agricultural Research Center, studied the impact of climate change on some main crops in Egypt. The results indicated that: Climate change could decrease the national production of rice by 11 %, wheat and barley by 18 %, maize (corn) and sorghum by 19 % and soybean by 28 % by the year 2050, compared with their production under current conditions. Cotton seed yield would increase by 17 % if the temperature increased by 2°C and by 31 % with a 4°C increase. Climate change could increase crop water demand for summer crops (up to +16%), while it could slightly increase water demand for winter crops.